As God's presence filled the Old Testament tabernacle (Exodus 40:35) and His glory filled the temple at the time of its dedication (I Kings 8:10-11) so did the Holy Spirit dedicate His Church on the day of Pentecost. Acts 2:41-47 - Then they that gladly received his word were baptized: and the same day there were added unto them about three thousand souls. And they continued stedfastly in the apostles' doctrine and fellowship, and in breaking of bread, and in prayers. And fear came upon every soul: and many wonders and signs were done by the apostles. And all that believed were together, and had all things common; And sold their possessions and goods, and parted them to all men, as every man had need. And they, continuing daily with one accord in the temple, and breaking bread from house to house, did eat their meat with gladness and singleness of heart, Praising God, and having favour with all the people. And the Lord added to the church daily such as should be saved. Scriptural facts concerning the New Testament sanctuary, The church of God. It was built by Christ. Matthew 16:18 - And I say also unto thee, That thou art Peter, and upon this rock I will build my church; and the gates of hell shall not prevail against it. It was a more perfect tabernacle. It is not a temporal but a spiritual house. I Peter 2:5 - Ye also, as lively stones, are built up a spiritual house, an holy priesthood, to offer up spiritual sacrifices, acceptable to God by Jesus Christ. Hebrews 3:6 - But Christ as a son over his own house; whose house are we, if we hold fast the confidence and the rejoicing of the hope firm unto the end. The foundation and materials of this house are described in the Word of God. Ephesians 2:20-22 - And are built upon the foundation of the apostles and prophets, Jesus Christ himself being the chief corner stone; In whom all the building fitly framed together groweth unto an holy temple in the Lord: In whom ye also are builded together for an habitation of God through the Spirit. The old temple was destroyed according to Jesus' prediction. Matthew 24:2 - And Jesus said unto them, See ye not all these things? verily I say unto you, There shall not be left here one stone upon another, that shall not be thrown down. The old Testament service was done away with by the blood of Christ. The New Testament sanctuary was dedicated on the day of Pentecost. Acts 2:2 - And suddenly there came a sound from heaven as of a rushing mighty wind, and it filled all the house where they were sitting. The Church began immediately to grow. Acts 2:41 - Then they that gladly received his word were baptized: and the same day there were added unto them about three thousand souls. Christ is the head of the Church having purchased it with His own blood. The Church is the body of Christ and He is the head. Ephesians 1:22-23 - And hath put all things under his feet, and gave him to be the head over all things to the church, Which is his body, the fulness of him that filleth all in all. Colossians 1:18 - And he is the head of the body, the church: who is the beginning, the firstborn from the dead; that in all things he might have the preeminence. Being the head, Christ governs His Church. Isaiah 9:6-7 - For unto us a child is born, unto us a son is given: and the government shall be upon his shoulder: and his name shall be called Wonderful, Counsellor, The mighty God, The everlasting Father, The Prince of Peace. Of the increase of his government and peace there shall be no end, upon the throne of David, and upon his kingdom, to order it, and to establish it with judgment and with justice from henceforth even for ever. The zeal of the LORD of hosts will perform this. There is no room or need for rabbis, popes, fathers, lordships, bishops (in the ecclesiastical sense), cardinals, reverends, or district superintendents in His Church. Matthew 23:8-11 - But be not ye called Rabbi: for one is your Master, even Christ; and all ye are brethren. And call no man your father upon the earth: for one is your Father, which is in heaven. Neither be ye called masters: for one is your Master, even Christ. But he that is greatest among you shall be your servant. Mark 10:42-45 - But Jesus called them to him, and saith unto them, Ye know that they which are accounted to rule over the Gentiles exercise lordship over them; and their great ones exercise authority upon them. But so shall it not be among you: but whosoever will be great among you, shall be your minister: And whosoever of you will be the chiefest, shall be servant of all. For even the Son of man came not to be ministered unto, but to minister, and to give his life a ransom for many. Since the builder and head of the Church is in Heaven it stands to reason that the headquarters is in Heaven also. One becomes a member of the church of God through virtue of the New Birth. As we enter the human family through a natural birth, likewise, we enter the family of God through a spiritual birth. John 3:7 - Marvel not that I said unto thee, Ye must be born again. 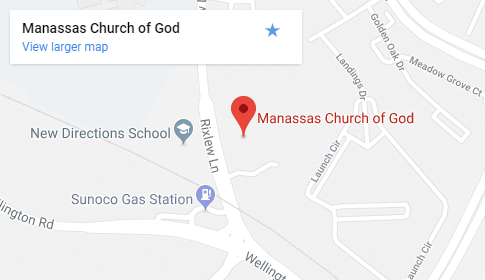 God adds the members to the Church. Man needs not join anything. Acts 2:47 - Praising God, and having favour with all the people. And the Lord added to the church daily such as should be saved. Acts 5:13 - And of the rest durst no man join himself to them: but the people magnified them. I Corinthians 12:18 - But now hath God set the members every one of them in the body, as it hath pleased him. Jesus is the door of His Church. The means of entrance is found in John 10:1-9. Merely joining a church, water baptism, shaking the preacher's hand, signing a card, or going to a public altar does not in itself gain entrance into the Church. Man has neither the right nor the ability to open or close the door of the Church. The name of the New Testament Church is found in the Bible many times. I Corinthians 11:16 - But if any man seem to be contentious, we have no such custom, neither the churches of God. I Corinthians 11:22 - What? have ye not houses to eat and to drink in? or despise ye the church of God, and shame them that have not? What shall I say to you? shall I praise you in this? I praise you not. I Timothy 3:5 - For if a man know not how to rule his own house, how shall he take care of the church of God? It was named by Christ. Isaiah 62:1-2 - For Zion's sake will I not hold my peace, and for Jerusalem's sake I will not rest, until the righteousness thereof go forth as brightness, and the salvation thereof as a lamp that burneth. And the Gentiles shall see thy righteousness, and all kings thy glory: and thou shalt be called by a new name, which the mouth of the LORD shall name. John 17:11-12 - And now I am no more in the world, but these are in the world, and I come to thee. Holy Father, keep through thine own name those whom thou hast given me, that they may be one, as we are. While I was with them in the world, I kept them in thy name: those that thou gavest me I have kept, and none of them is lost, but the son of perdition; that the scripture might be fulfilled. Christ did not name the Church after Himself. Nowhere in the Bible do we find the names: church of the Father, or church of the Holy Ghost or even church of Christ in the singular. Romans 16:16 - Salute one another with an holy kiss. The churches of Christ salute you. Church of God includes the whole Godhead, which is the name that is doctrinally sound. The discipline of the Church is the Word of God. It is the only one the Christian needs. The Bible is all sufficient and supreme. Nothing needs to be added to it and nothing must be taken away. Revelation 22:18-19 - For I testify unto every man that heareth the words of the prophecy of this book, If any man shall add unto these things, God shall add unto him the plagues that are written in this book: And if any man shall take away from the words of the book of this prophecy, God shall take away his part out of the book of life, and out of the holy city, and from the things which are written in this book. The membership book of the church of God is located in Heaven, and not on the earth. Luke 10:20 - Notwithstanding in this rejoice not, that the spirits are subject unto you; but rather rejoice, because your names are written in heaven. It is called the Book of Life. Philippians 4:3-4 - And I intreat thee also, true yokefellow, help those women which laboured with me in the gospel, with Clement also, and with other my fellowlabourers, whose names are in the book of life. Rejoice in the Lord alway: and again I say, Rejoice. Revelation 21:27 - And there shall in no wise enter into it any thing that defileth, neither whatsoever worketh abomination, or maketh a lie: but they which are written in the Lamb's book of life. Christ is the recording secretary. Psalms 87:5-7 - And of Zion it shall be said, This and that man was born in her: and the highest himself shall establish her. The LORD shall count, when he writeth up the people, that this man was born there. Selah. As well the singers as the players on instruments shall be there: all my springs are in thee. Only sin can blot one's name out of the Book of Life. Exodus 32:30-32 - And it came to pass on the morrow, that Moses said unto the people, Ye have sinned a great sin: and now I will go up unto the LORD; peradventure I shall make an atonement for your sin. And Moses returned unto the LORD, and said, Oh, this people have sinned a great sin, and have made them gods of gold. Yet now, if thou wilt forgive their sin--; and if not, blot me, I pray thee, out of thy book which thou hast written. The church of God is not a building, office, or a man made organization but it is the whole family of God, in Heaven and on Earth who have truly been born again and saved from all sin through the sanctifying power of the blood and Word. The church of God locally is that divinely separated group of believers living by all the Word having the same doctrine and Spirit - a local congregation. Hebrews 10:25 - Not forsaking the assembling of ourselves together, as the manner of some is; but exhorting one another: and so much the more, as ye see the day approaching. The church of God has no fellowship with false religion. II Corinthians 6:14-18 - Be ye not unequally yoked together with unbelievers: for what fellowship hath righteousness with unrighteousness? and what communion hath light with darkness? And what concord hath Christ with Belial? or what part hath he that believeth with an infidel? And what agreement hath the temple of God with idols? for ye are the temple of the living God; as God hath said, I will dwell in them, and walk in them; and I will be their God, and they shall be my people. Wherefore come out from among them, and be ye separate, saith the Lord, and touch not the unclean thing; and I will receive you, And will be a Father unto you, and ye shall be my sons and daughters, saith the Lord Almighty. Saul of Tarsus, a Pharisee, persecuted the church of God. As Israel of old was to be separate from all nations round about them, the church of God is separate and distinct from all false religion.